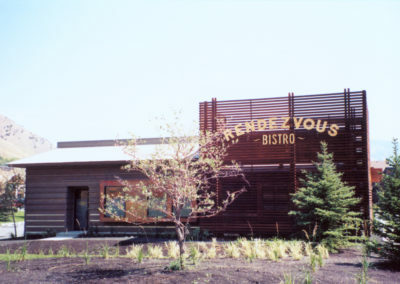 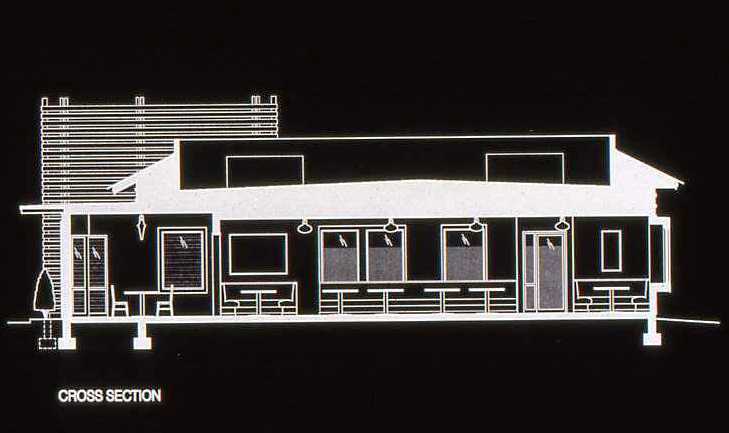 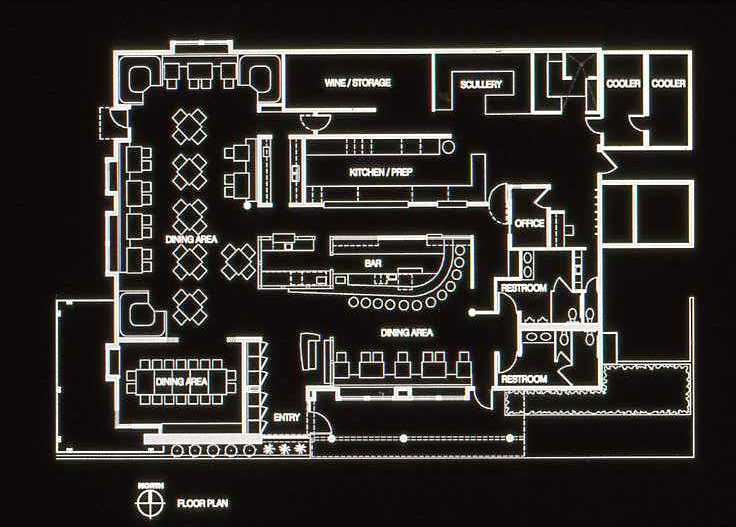 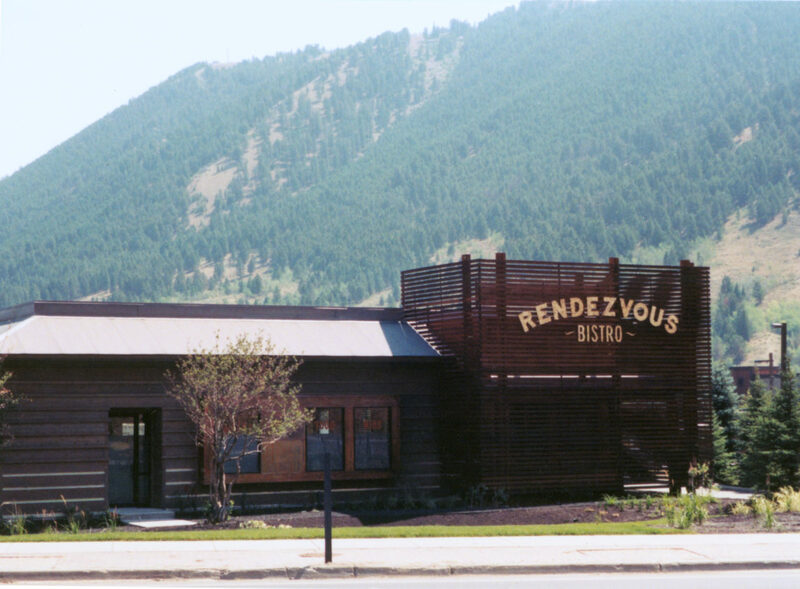 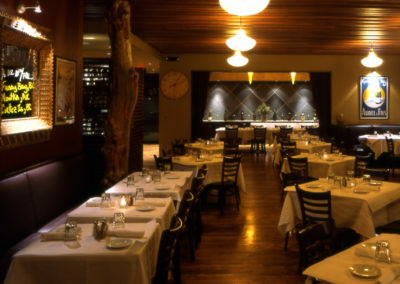 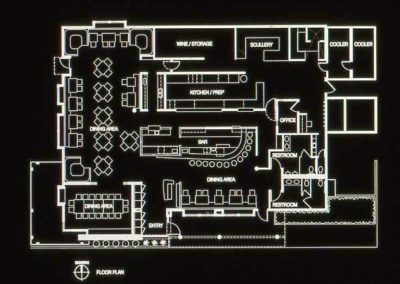 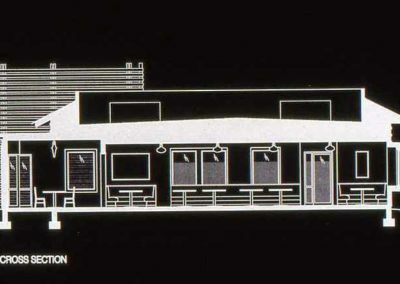 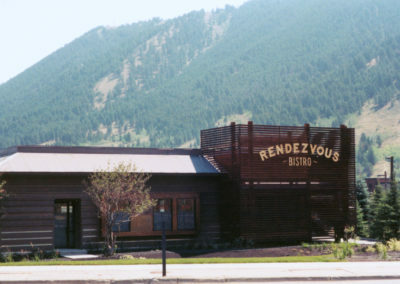 A restaurant in Jackson Hole, Wyoming was an existing breakfast diner converted into a high-profile bistro. 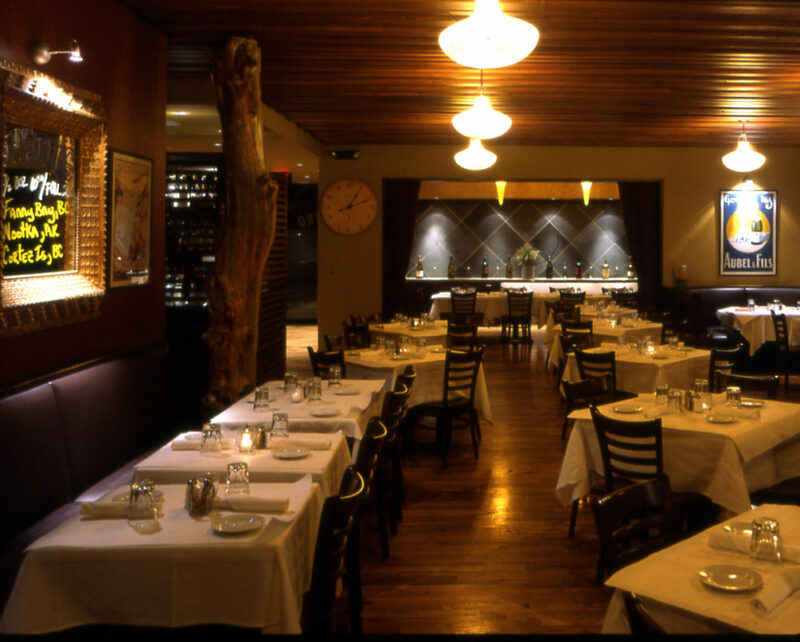 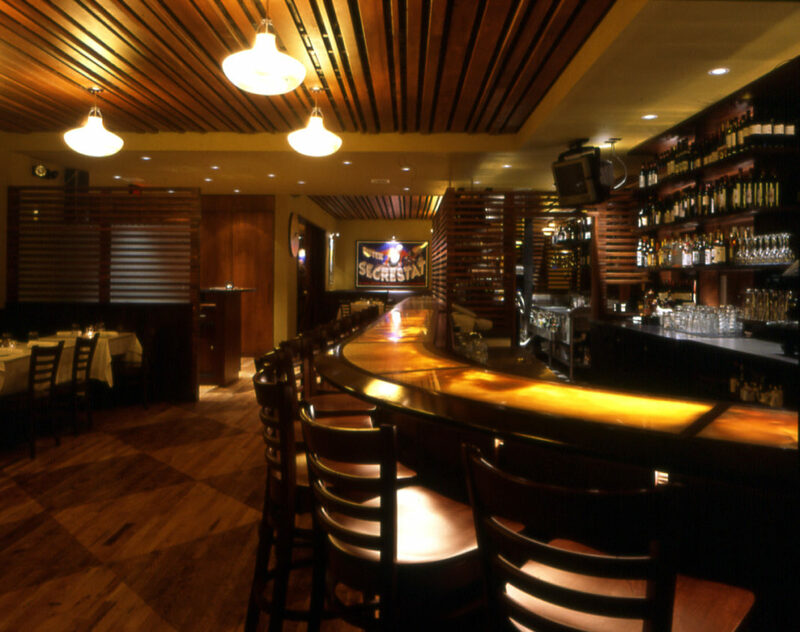 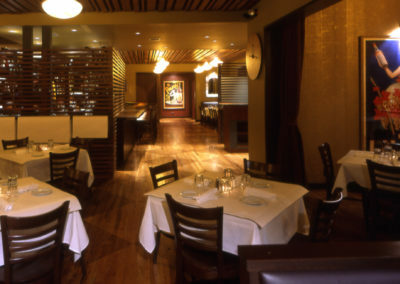 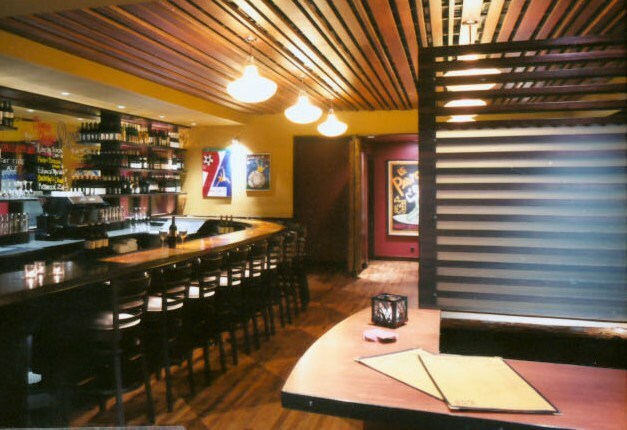 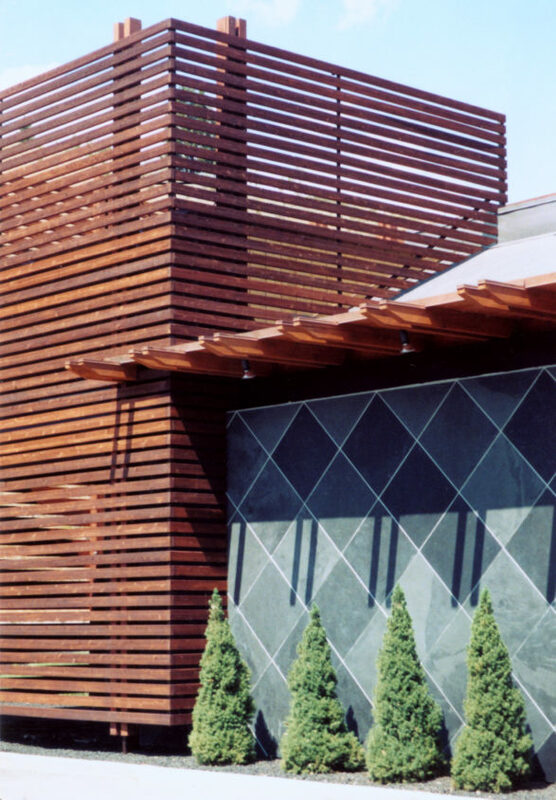 Pollard Architects was hired as the design architect and associated with a local firm called Tobler Duncker Architects to create a restaurant embellished with western simplicity and high level dining experience. 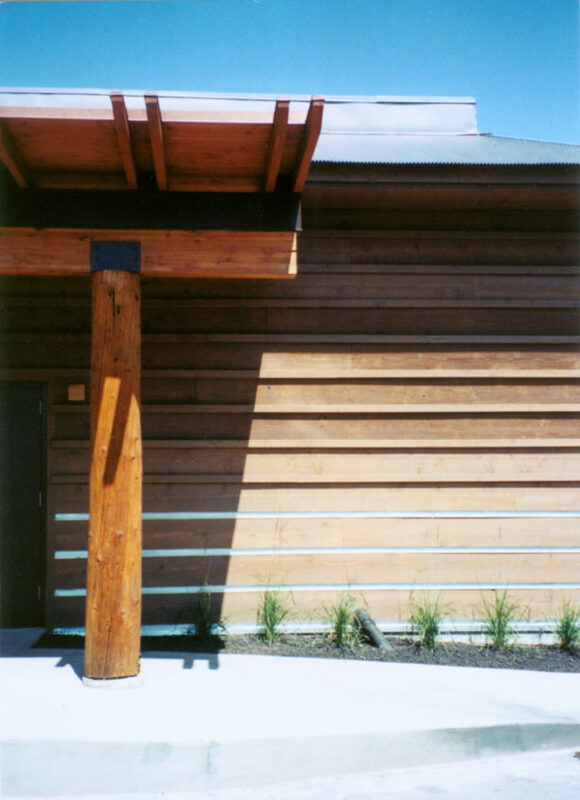 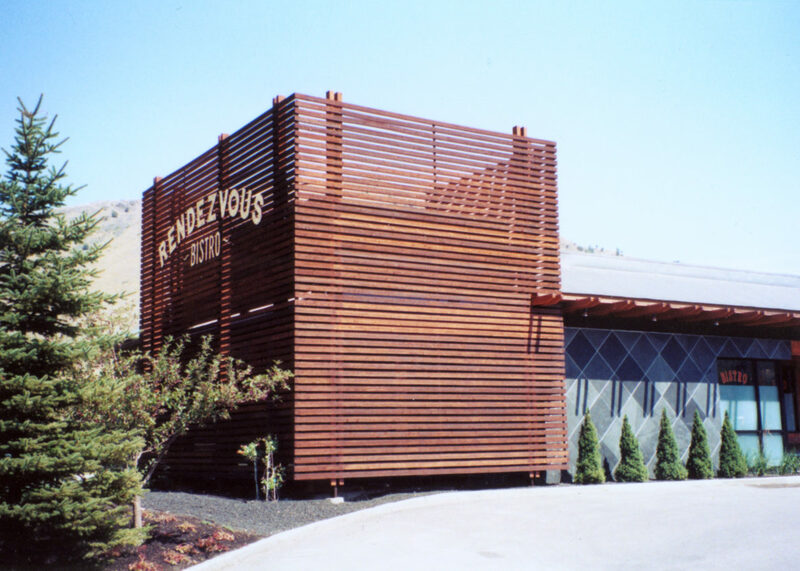 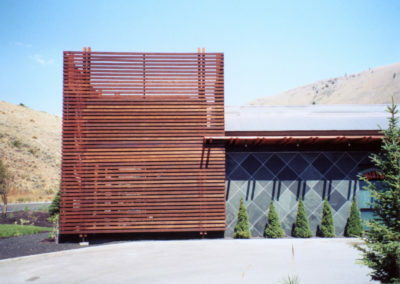 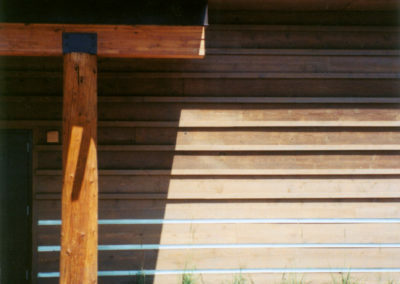 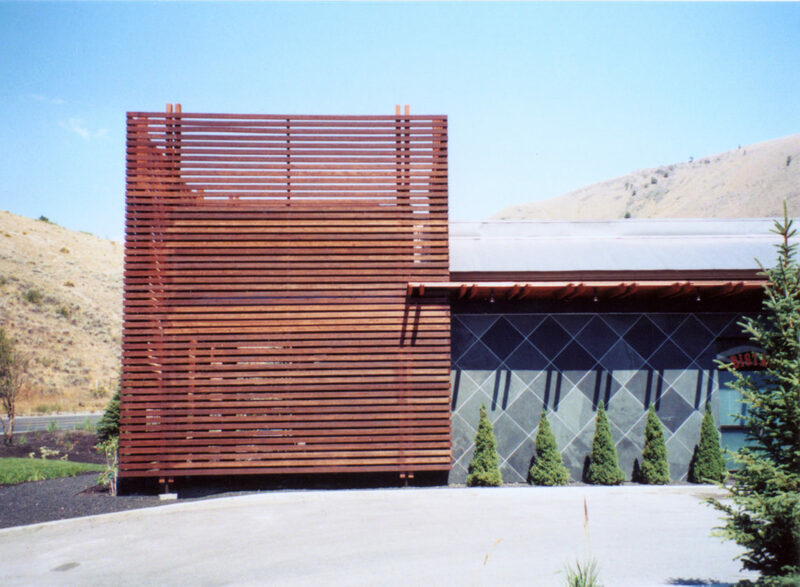 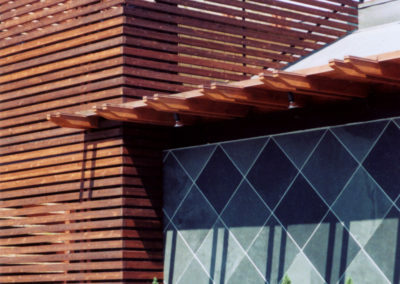 On the exterior, a horizontal wood slat volume was created, similar to western snow fences, wrapped around a private dining room and creating a seamless transition from the outside in. 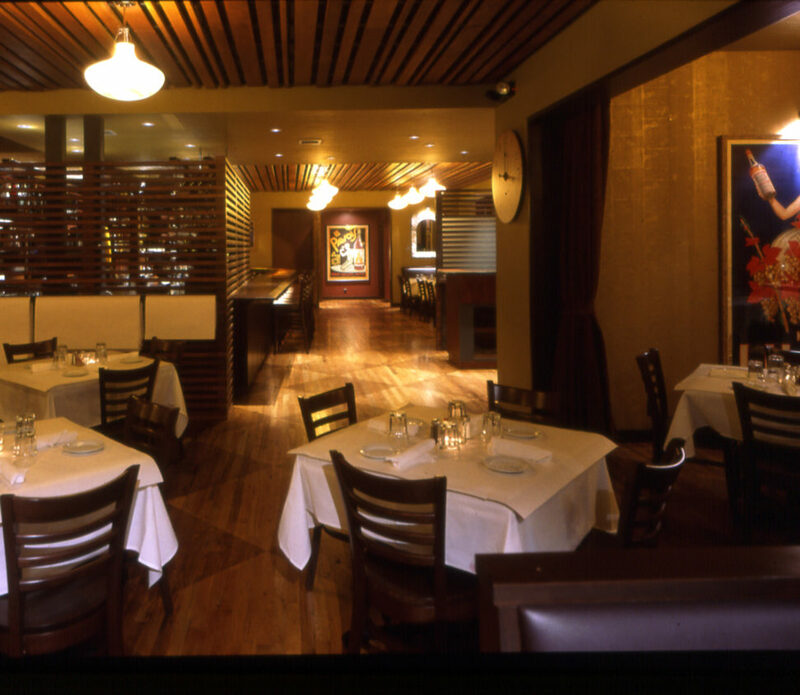 Patterned oak flooring, mahogany and onyx were some of the essential materials used to create the western intimate scale and ambience. 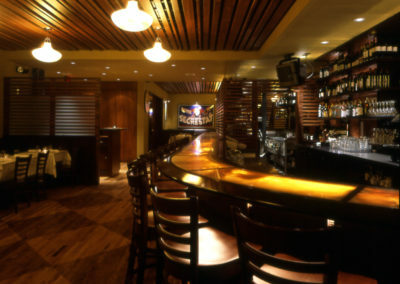 The walls and ceilings are adorned with slate and wood. Overall, our collaborative effort was a successful realization of the client’s ambition: creating a trendy restaurant with western ambiance.